This weekend was definitely one for the books. Like, every single one of the books. 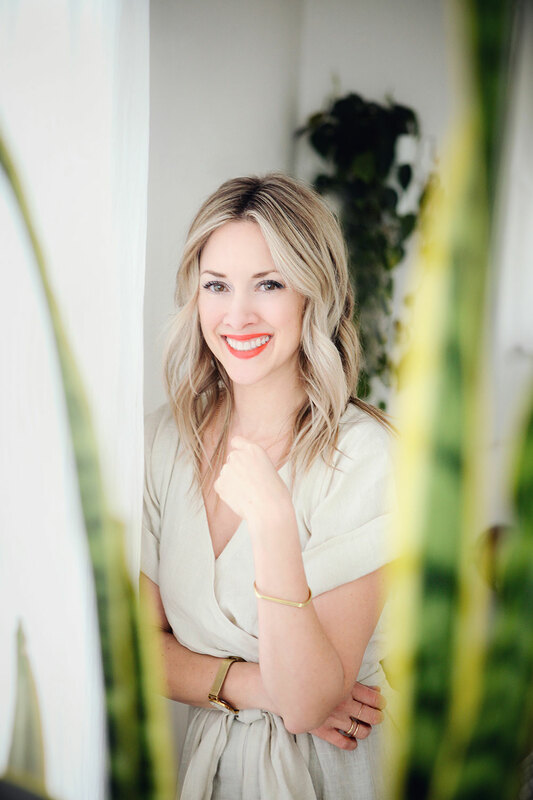 I had the pleasure of hosting the incredibly talented Helene Dujardin in my home. She. is. so. much. fun. you. guys. We drank wine, we cooked, we watched mystery shows on tv, we took pictures, we went out to dinner with friends, we sang songs, we stayed up too late 3 nights in a row. No, we did NOT paint each others toenails, youuuu. After dropping her off at the airport yesterday, I got home to find the sofa actually handing me fluffy pillows and a cozy blanket to curl up with. I obeyed. For 3 straight hours. And then 7 more. That said, I was halfway-sorta-maybe-in-a-way able to muster up a quickie moolicky (?) recipe to share with you today. Have you ever grilled ’em before? Aaron and I discovered this technique only a couple of summers ago and it was like a first kiss, you guys. Lightning bolts, rays of sunshine, my little ponies dancing through a psychedelic rainbow above our heads. Only, let’s pretend that I actually took a picture of the finished dipping sauce. And let’s also pretend I took a picture of a single artichoke leaf IN the dipping sauce. I can’t be blamed. It was that 429-hour nap. Bring a large pot of salted water to a boil. Slice artichoke in half and immediately put it in the water. Boil 15 minutes. 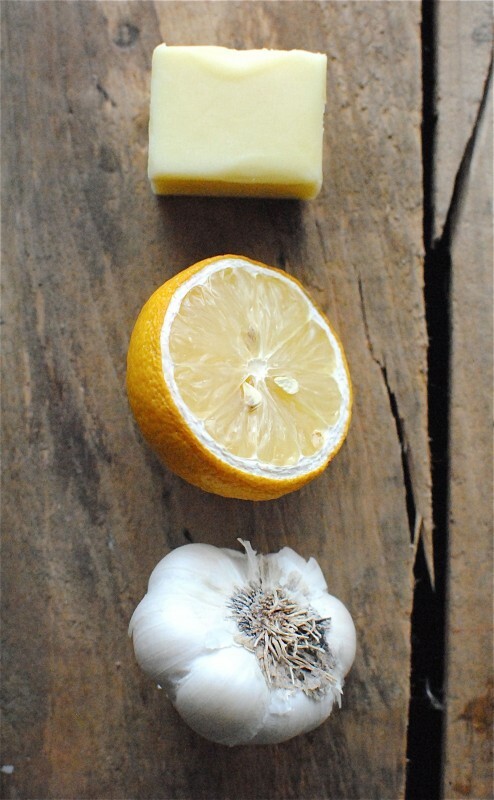 Melt the butter and add the garlic, lemon juice and salt. Whisk, whisk. Try not to drink it. Grill the artichokes on both sides, 15 minutes total, while basting with a little of the butter sauce. To eat, pull off each leaf and dip in remaining butter sauce. Recipe sounds tasty! Also, love the single artichoke pic! M or A setting on your camera??? hahaha! There's a little restaurant in Napa I wanna take you & Carly & Cassie to when y'all come play with me in wine country called The Rutherford Grill. They grill artichokes and serve with a smoked paprika butter for dipping. I die. Yes, yes, and yes! I'm there! :) These sound to-die-for, Bev! 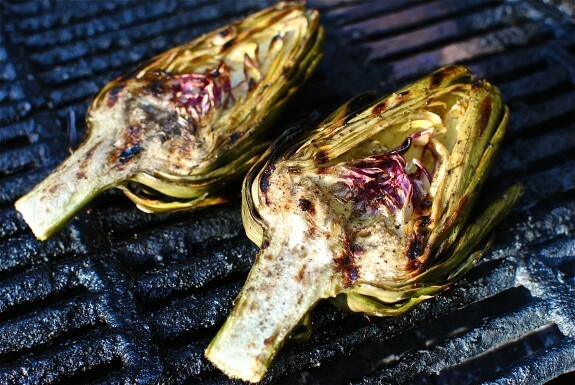 Why don't I ever grill artichokes? That's what I'm going to be asking myself all day. I steamed some yesterday and they were tasty but nowhere as beautiful as yours! Sounds like a fantastic weekend! Oh my land...why have I never grilled them before? I think I'll have to make them just so I can see the leaves in the buttery sauce. they look...amazing. I LOVE artichokes but never make them b/c they are..well..hard to work with for me. I always ruin them! I buy the TJs Just Artichokes in the freezer case. No oil, garlic or salt...but I want to have your homemade grilled version, big time! What a gorgeous post! I love anything artichoke.. oh the flavors. 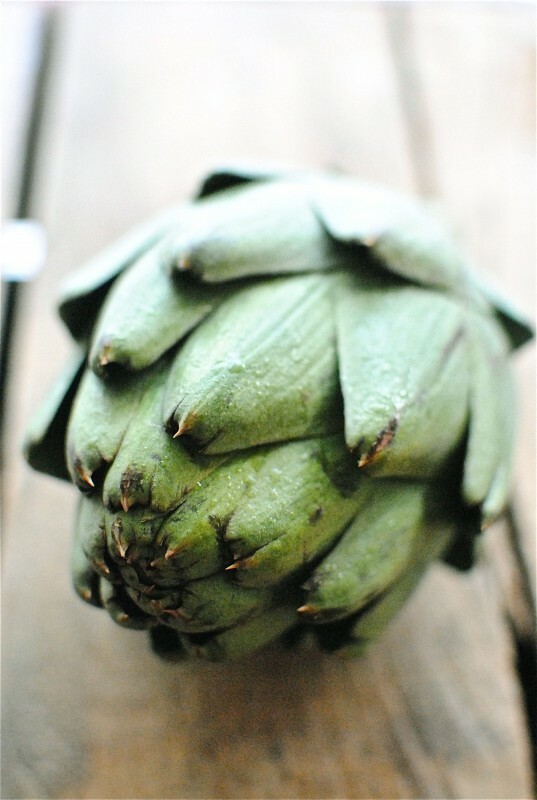 I think I even have some artichokes at home... guess I can satisfy the craving.. STAT! Thanks for sharing. Thanks so much, Elizabeth! I appreciate you dropping by! My little ponies dance in your head too? YUM!! 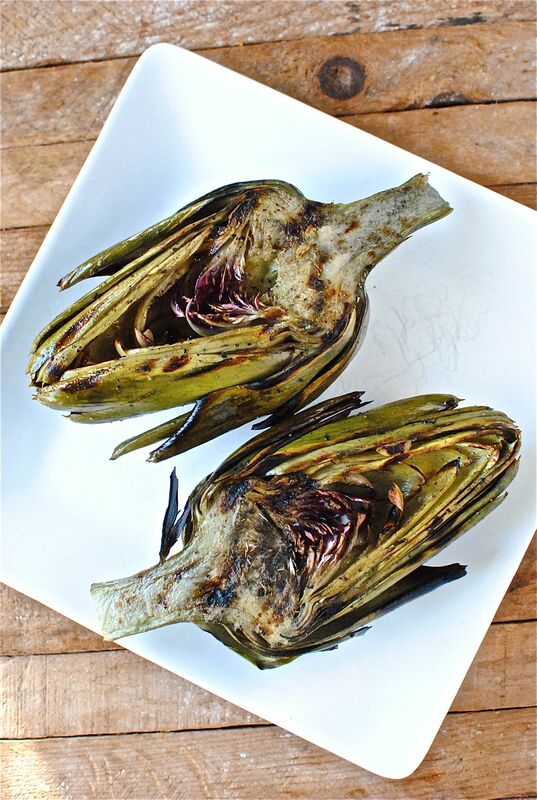 I adore artichokes - and this looks amazing! artichokes are so beautiful, aren't they? this looks so delish! What a lucky girl! Spending all that QT with Helene :) Also, artichokes kinda rule my world. is that weird? Never tried cooking a whole artichoke. I was always intimidated by it since I did not know what to do with it. After seeing the pictures and checking out the ingredients I think I am going to try it since it is such an easy recipe. I forgot to ask, when you say grill them are you grilling them on a barbeque grill or do you recommend grilling them on a grill pan over the stove? I do need to purchase a grill pan. Can you suggest any brands that are a good quality? Thanks so much for reaching out! Actually, we just threw these on our outdoor grill at a good medium heat for about 15 minutes. Depending on your grill, it might take a little shorter or a little longer. But as far as grill pans go, I recently just bought a cast iron version, and I love it! I bought it at World Market, but I'm betting Target has something close. Thanks again! Let me know how they turn out!